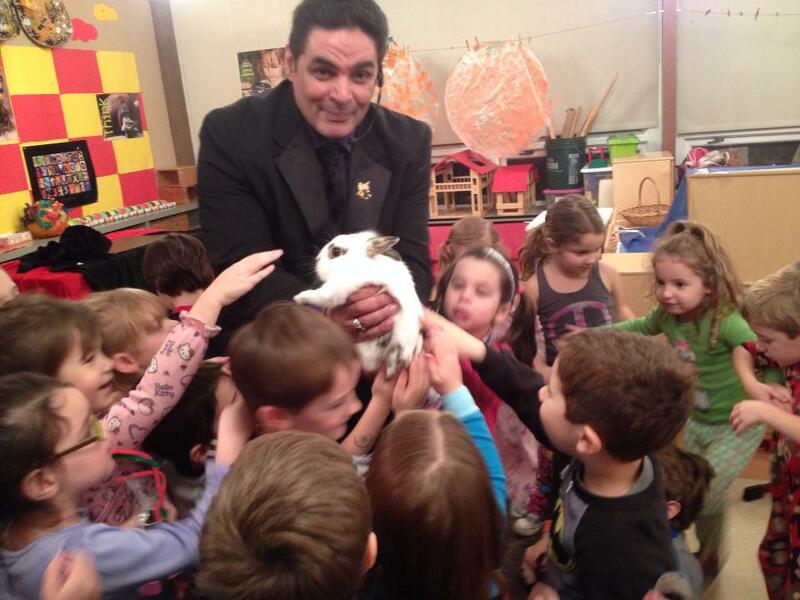 Amazing Comedy Magic Show At Residential Birthday Parties & Small Gathering - Kid Tested & Parent Approved! 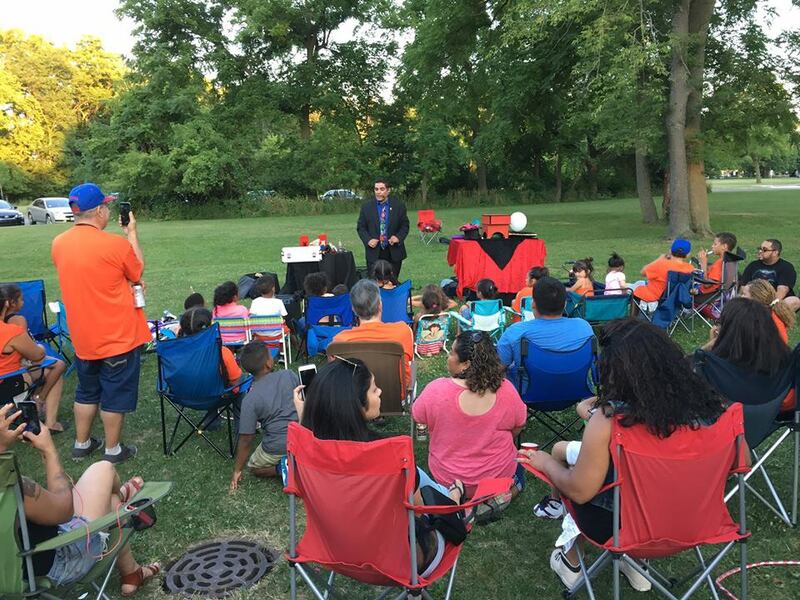 "AMAZING MAGIC + HILARIOUS COMEDY + GREAT PERSONALITY = FANTASTIC ENTERTAINMENT"
Magician Jaime Aponte is the key to making your child's party memorable and impressive! 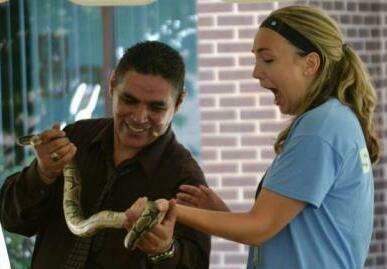 Jaime entertains thousands of children & Adults, across Illinois every year. 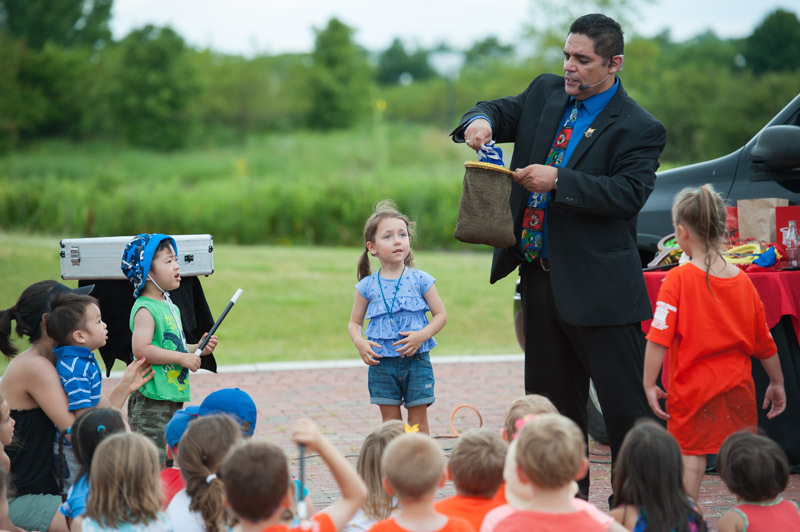 Magician Jaime Aponte is the perfect entertainer for folks of all ages! 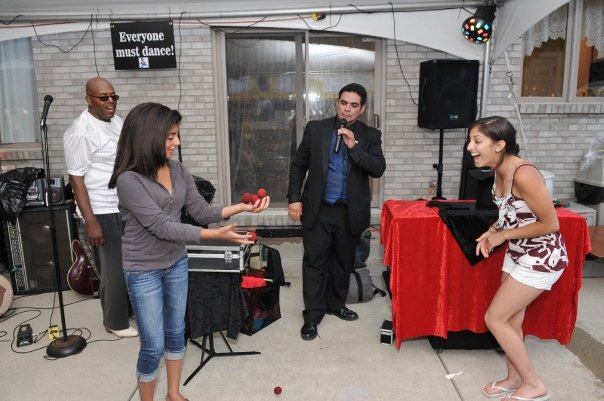 He creates an unforgettable and entertaining atmosphere at your celebration which will be remembered for years to come! 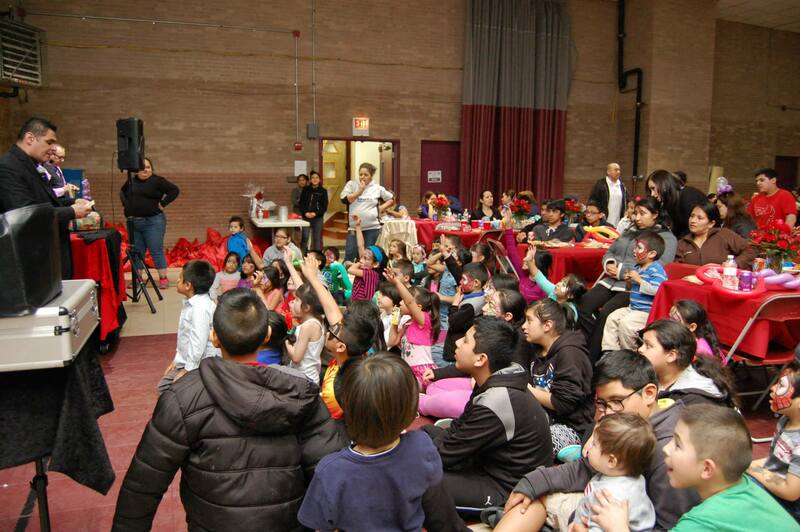 Birthday Magic Show that is Fun, Affordable, Hassle-free, Kid-friendly and guaranteed to be fun for the whole family! Package # 1: (30 Minutes) Amazing and Hilarious "Family Friendly" Comedy Magic Show with plenty of Audience Participations and Interaction - A unique blend of high energy magic. The children will be laughing non-stop from the time the show starts to the very end. Children will be sitting on the edge of their seat wondering what will happen next. As a special treat, the Birthday Child will be the STAR of The Show! 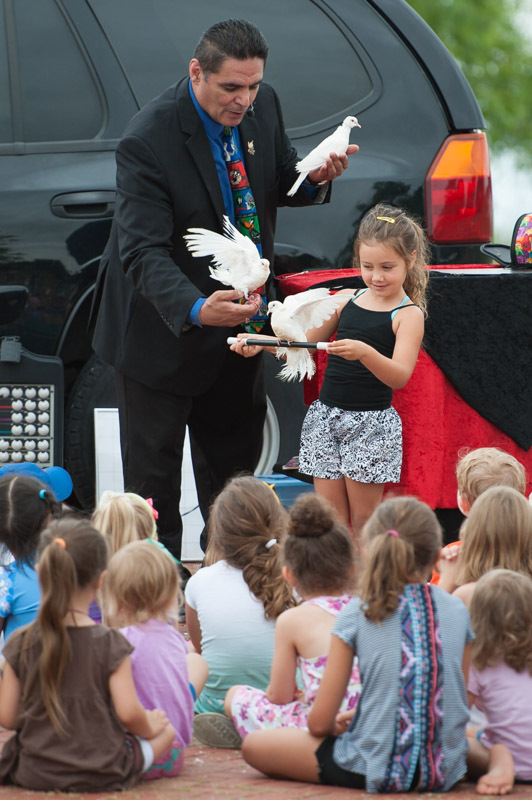 "FEATURE PERFORMANCE: PREMIER ANIMAL MAGIC SHOW"
This Amazing Package has twice the nonstop excitement of action packed, high energy magic entertainment and comedy with plenty of audience participation and interaction. 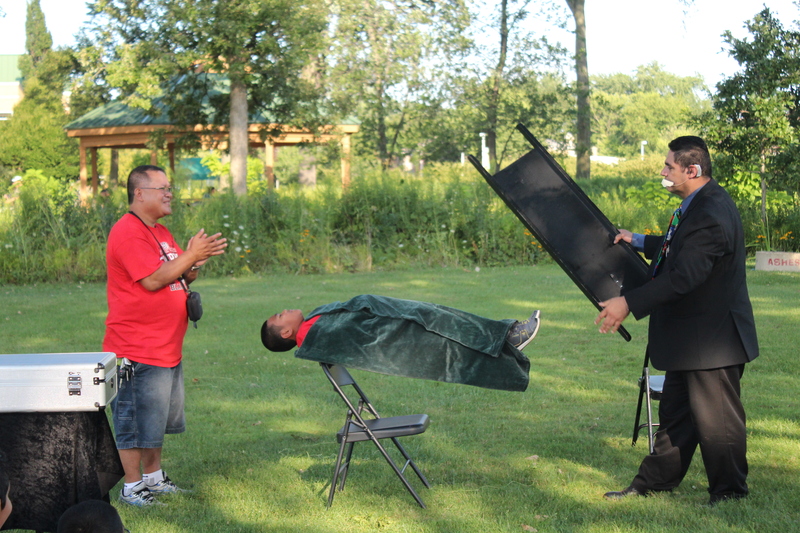 This is an unforgettable entertainment with mind-boggling magic tricks that happens right before the audience eyes and beautiful animals appearing during the show. Throughout the show, the birthday child and their guests will help to magically appear several beautiful live doves and Rex the most adorable soft bunny! Meet and Greet with the bunny afterwards, photo opportunities. 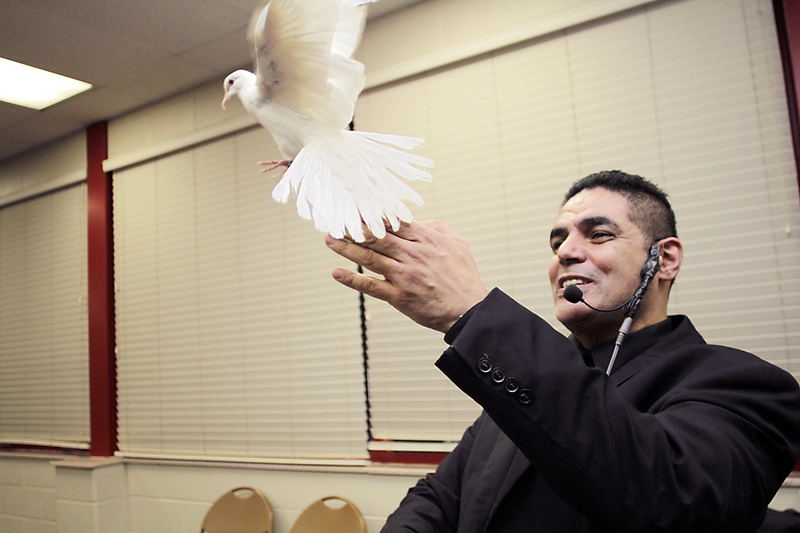 Imagine having the birthday child and some of their guest waving colorful silks up and down, to show them empty, we place the silks together and a beautiful white dove appears. That is just one of the fun illusions with the animals. Talk about making a special memory for the entire audience that is also designed to leave a lasting and positive impact on your child and their guests that they will never forget! 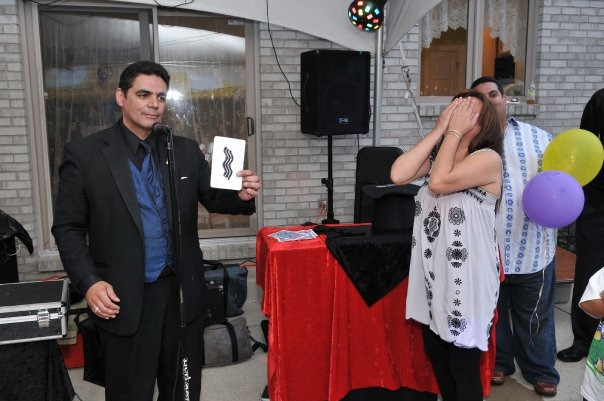 Call Magician Jaime Aponte at (847) 867-8692 to secure the date & time for your event as he does book up quickly! --------- > " CLICK HERE TO SEE VIDEOS"
--------- > " CLICK HERE TO SEE PHOTOS"
Perfect for your child's birthday party! Add to your show a colorful balloon animal for each child. Wait until you see the children's' faces light up when they get their adorable custom-made balloon animal souvenir! CHOKING HAZARD - Balloons will only be given to children over the age of 3 with parental consent. Broken or un-inflated, balloons can choke or suffocate young children and pets who try to chew or swallow them. Balloons are made of latex (allergy warning). Adult supervision required. Discard broken balloons at once. MYSTICAL FORTUNE TELLING FISH TRICK ! Just place the Mystical Fortune Telling Fish Trick on the palm, wiggle your fingers over it, and watch what happens! It begins to curl up or jiggle off your hand, all by itself! The children will believe they are performing magic! CHOKING HAZARD—Fish Trick will only be given to children over the age of 3 with parental consent. Adult supervision required as young children can choke, if placed in their mouth. EXOTIC MAGIC - 4 FT. TRAINED SNAKE MAGICALLY APPPEARS! 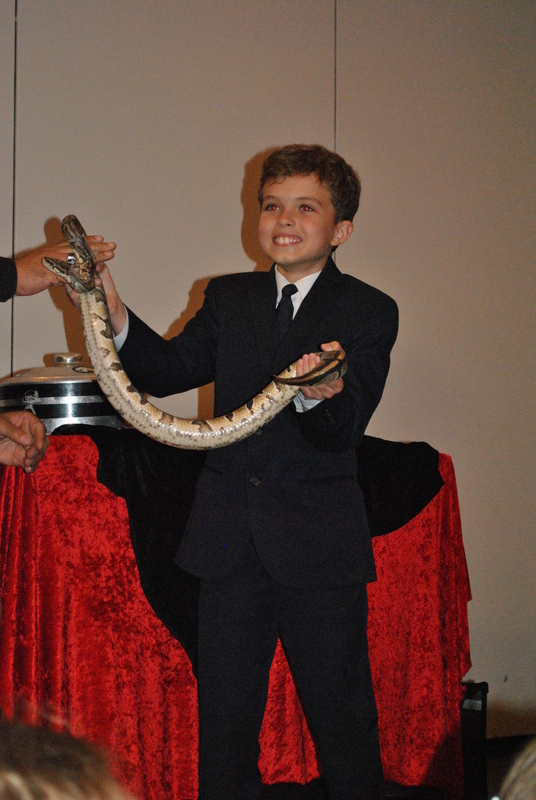 To add a little sense of danger and excitement, the magician can also make an amazing live snake appear in the middle of the show, the kids will scream with delight when "Samson" (A Real Friendly Snake) is magically produced - this is another big hit with the kids and grown-ups. This is a large prop to travel with and requires additional time to setup. Fee $35.00 to be added to package 2. Imagine the look on everyone's face when a child defies the laws of gravity by magically staying suspended in mid-air, thus creating a truly memorable and absolutely breathtaking effect to say the least. Another wonderful photo opportunity to remember the highlight of your magical event! Weight Limit 70 Pounds: If child is slightly over the suggested weight limit, another child such as sibling, cousin, classmate, etc. may be substituted. Security Deposit: A non-refundable $75 deposit may be required to hold your reservation to secure the desired Date & Time for the entertainment and is due at the time of booking. Deposits may be paid with credit card over the phone via the Square payment online system. A 3.6% processing fee is applied to all payments made by credit cards. The fee is simply passed to the client by the credit card company. Deposit can also be processed through PayPal to Jaime_A@comcast.net and is very secure. You don't have to be a PayPal member to pay this way.....simply pay as a Guest. A receipt will be emailed afterwards. Deposits are waived for Companies, Park Districts, Public Libraries and Schools. Payment Options: The remaining balance to be paid in full on the day of the performance by cash, check, or credit cards (Visa, MasterCard) via the Square payment system. A 3.6% processing fee is applied to all payments made by credit cards. The fee is simply passed to the client by the credit card company. Payments can also be made through Paypal to Jaime_A@comcast.net, you don't have to be a PayPal member to pay this way.....simply pay as a Guest. A receipt will be emailed afterwards. Cancellation Policy: Upon the client canceling the performance for an event, the non-refundable deposit fee will be retained by Jaime Aponte, but can be applied to a rescheduled date, pending availability. You may cancel your performance up to one week before the performance date with no additional penalty, but if the show performance is canceled with less than one week notice, you will be responsible for payment of the fee in full, unless otherwise agreed upon by both parties with written notice. Parking Fee: Any parking fees incurred by the entertainer(s) must be fully validated and/or reimbursed by the client. 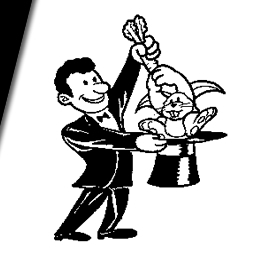 Chicago Loop Travel Fee: $35 Traffic congestion can make a trip to the Chicago area take four times as long - Magician needs to give himself an extra hour in case unexpected delays occurs.